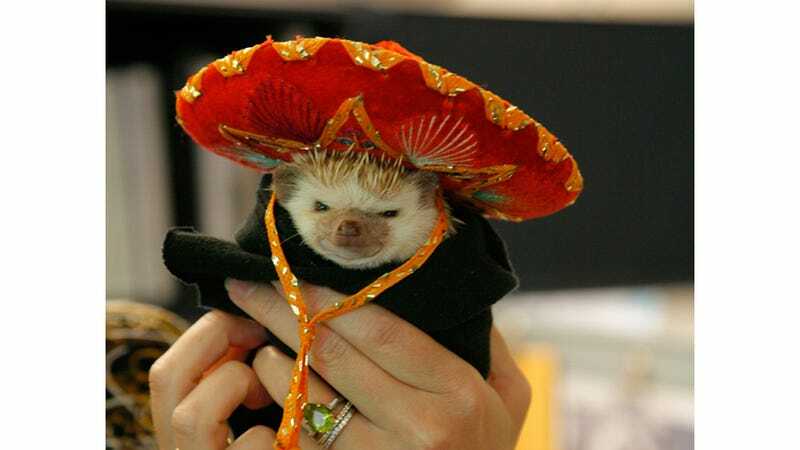 Kat writes: "This is my sweet-if-slightly-curmudgeonly hedgehog, Elvis, wrapped in a t-shirt poncho, wearing a tiny sombrero. Es muy guapo, no?" ¡Si, si! Reminder: email me a (horizontal) picture of your pet and it could end up right here.